The subject of this research concerns an innovative serial robot developed to introduce the laser ray technology in the on-line pipes cutting in a continuous process of production. The presence of different cutting constraints and the necessity of avoiding any robot collisions suggested the insertion of a redundant degree of freedom allowing infinite inverse kinematics solutions for the motion planning as well as for the movement optimization. The inverse kinematics requires to evaluate the pseudo-inverse matrix of the kinematical system in several trajectory points while the optimization is performed with an opportune weighting variable assigned for each joint degree of freedom. The supervision of the machine dynamic behavior is obtained through the change of these weights during the motion. As a consequence, a suitable multi-objective genetic algorithm (MOGA) has been adopted to reduce vibration effects and to improve the quality of the robot motion with optimal motion profiles. In comparison with the traditional cutting techniques, the proposed one allows, as a result of the optimal motion of the robot, an increased quality improvement and a reduced cutting cycle time. Premised a brief description of the technological context, this paper presents the kinematical analysis of the machine and its optimization with the implemented MOGA. The proposed algorithm has been implemented on a working laser pipe cutting machine and exhibits a behavior really similar to the forecasted one. 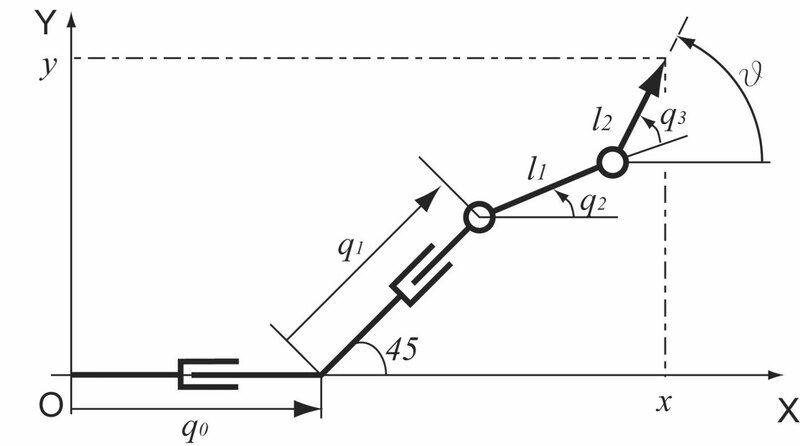 A. Borboni, R. Bussola, R. Faglia, P. L. Magnani, and A. Menegolo, “Movement optimization of a redundant serial robot for high-quality pipe cutting,” Journal of Mechanical Design, Transactions of the ASME, vol. 130, pp. 0823011-0823016, 2008.